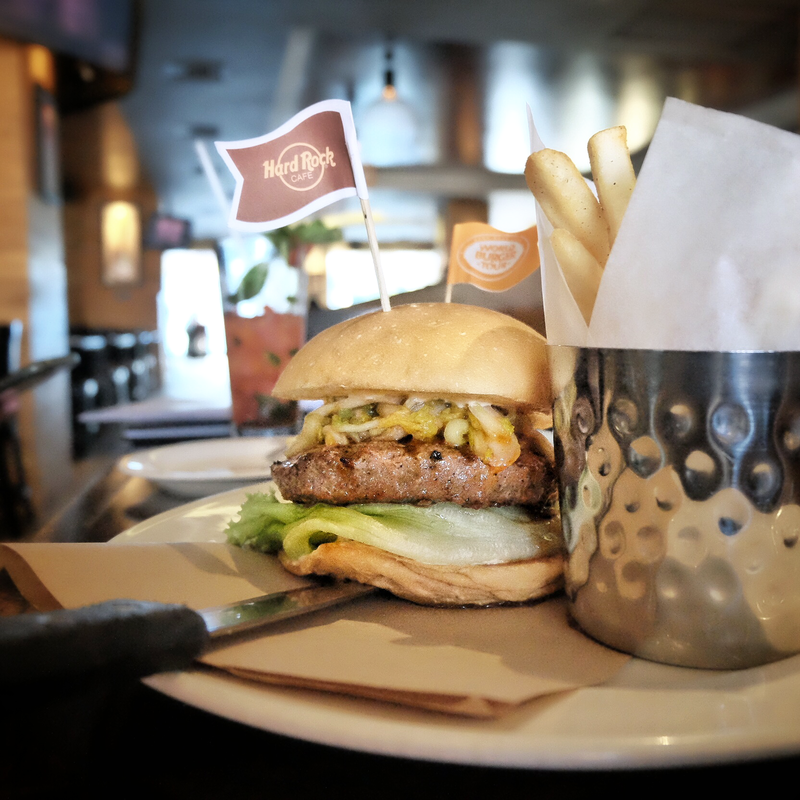 Since they first open in London 44 years ago, Hard Rock Café has been serving burger all over the world. 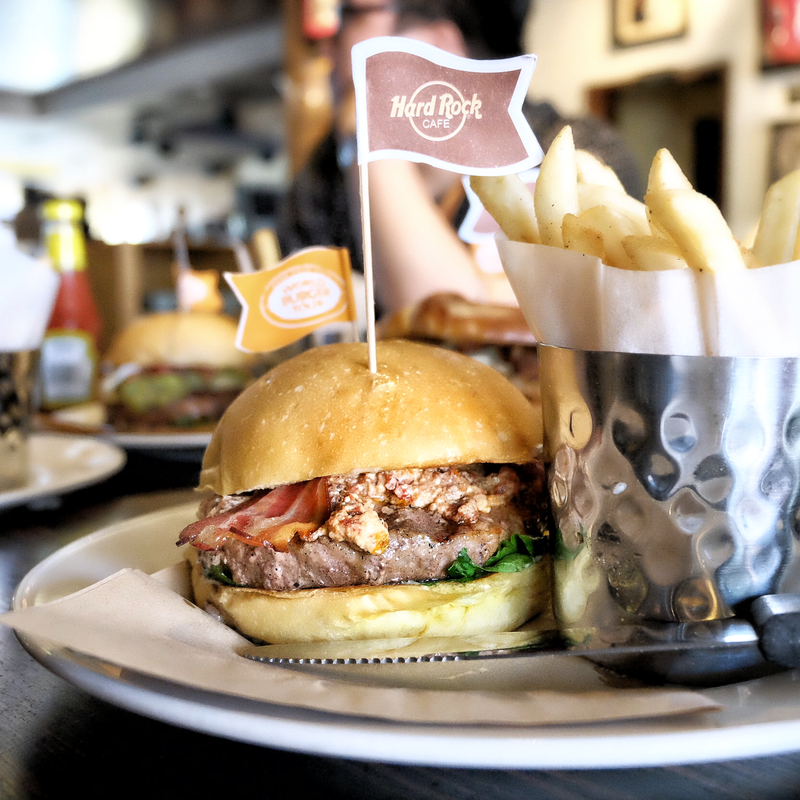 Each café’s chefs can create a unique Local Legendary Burger that captures the flavors of their city, evaluated by Hard Rock’s culinary team and selected to headline the World Burger Tour menu throughout June and July. Can you imagine trying different kind of burger with each individual characteristic from each city? 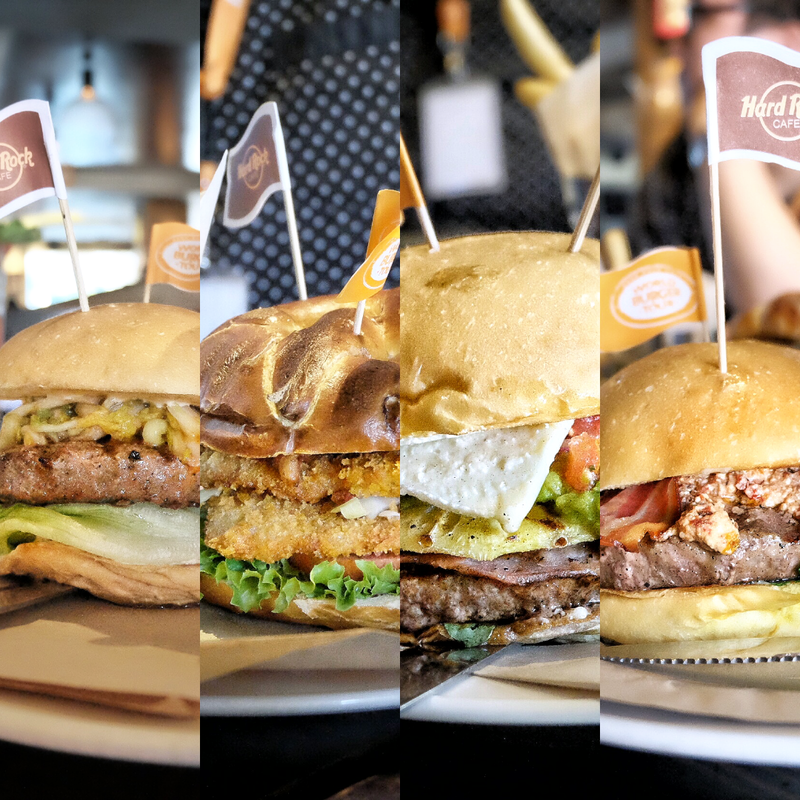 This June the World Burger Tour started with 4 burgers from 4 different cities: Honolulu, Busan, Cologne and Rome. 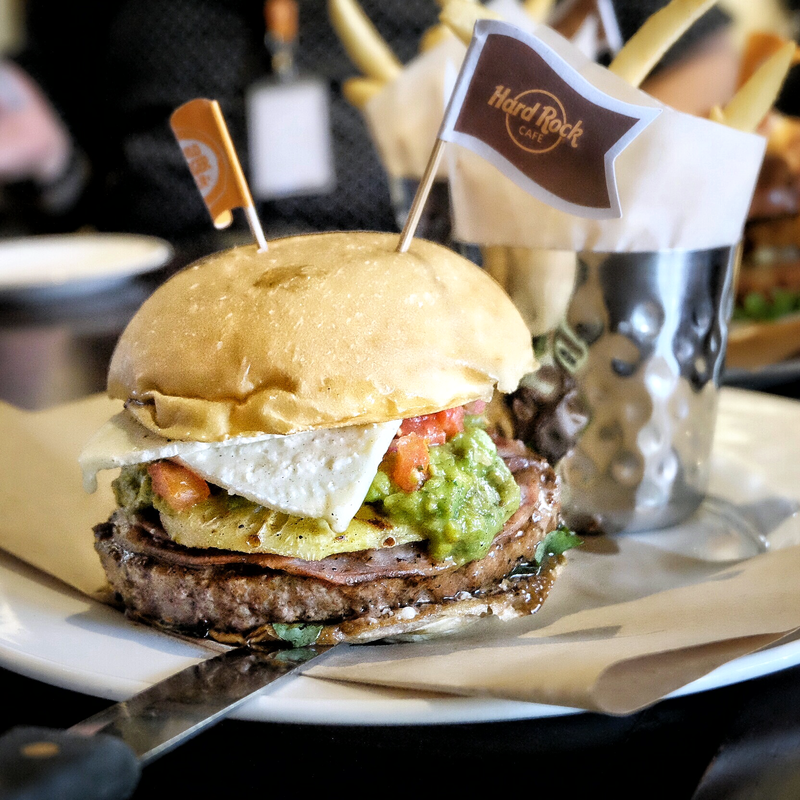 First the Aloha Burger from Honolulu, United States; with a certified Angus Beef® patty topped with SPAM, Monterey Jack Cheese, grilled pineapple ring with sweet soy glaze, guacamole and pico de gallo or usually known as salsa. This burger has tropical and sweet characteristic with freshness from the salsa between those soft brioche bun and juicy patty. 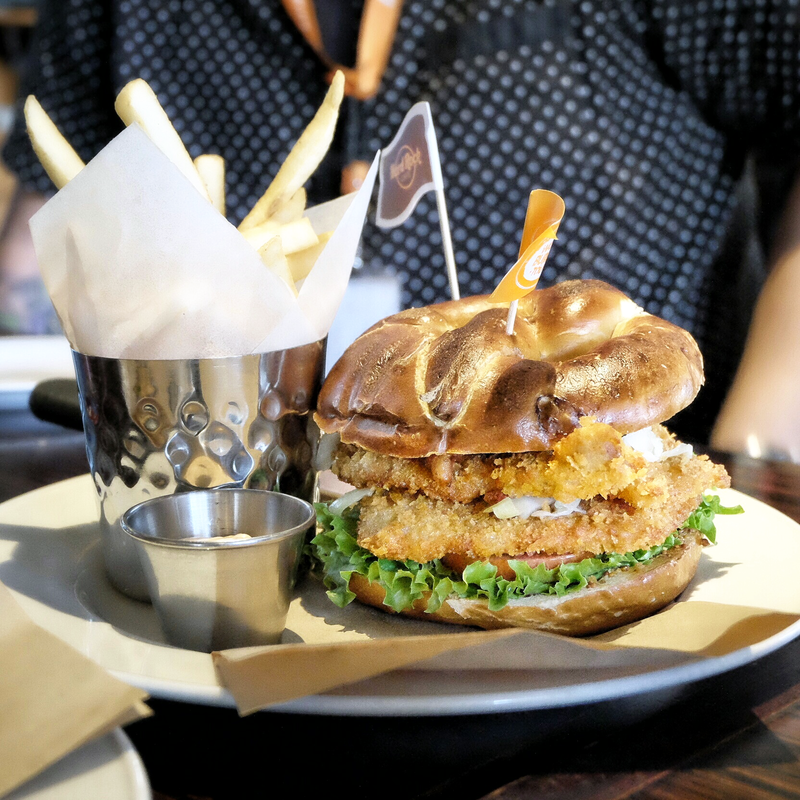 Next the Schnitzel Burger from Cologne, Germany that was inspired from traditional German dish; It’s basically fried thin and tenderize meat coated with bread crumbs. What’s inside this burger? It was deliciously crispy two stacks of tender pork schnitzel topped with crunchy sauerkraut, spicy brown mustard and savory bacon. For this burger instead using a burger bun they stack it between homemade pretzels. Still from Europe, When in Rome Burger from Rome, Italy was a juicy certified Angus Beef® patty topped with ricotta cheese, sundried tomatoes, Italian pancetta and Sriracha mayonnaise. It was juicy, rich and a bit spicy combine into one big stack. Wanna know what their Asian inspired burger taste like? Well for the tour they got Korean Kimchi Burger from Busan, Korea. Based on the name itself, they put kimchi on the burger seasoned with Sriracha (spicy sauce), then they stack it with bulgogi sauce, fresh tomato, lettuce and Sriracha mayonnaise. The result was a complex taste with smoky, salty, sour and a bit spicy flavors combined. For this World Burger Tour they also create several cocktails that would complement each burger dish. Well as I said before, they serve these four burgers only for this June, so hurry and explore the international burger flavors!